Australia has a number of globally renowned brands of flavored milks, ideal for lunch boxes or snacks. 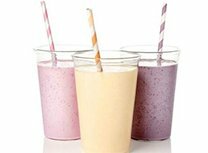 Flavored milks range in organic, fresh or UHT varieties, and are available in a number of flavors. Contact Al-Ghani for a full range of flavored milks available.